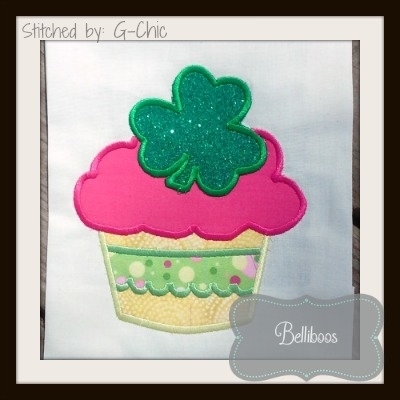 Shamrock Cupcake Applique - 4 Sizes! 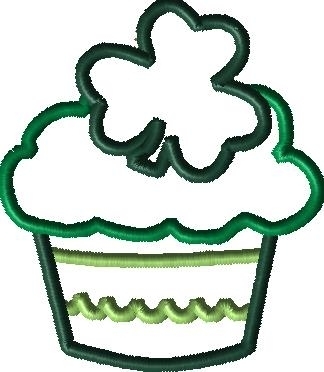 Our Shamrock Cupcake Applique is just right for all your Saint Patrick’s Day outfits and decor! Perfect on clothing, bibs, pillows, placemats, etc. Includes sizes 4x4, 5x7, 6x10, and 7x11. Pot of Gold Applique - 4 Sizes! Pot of Gold Faux Smock - 2 Sizes! Finish Size 3.38" x 3.87"
Finish Size 5.03" x 5.77"
Finish Size 5.96" x 6.84"
Finish Size 6.62" x 7.60"